"Traditionalism" was being discussed in the Universal Gnostic Church as early as 1905, before Guénon joined that church in 1908. 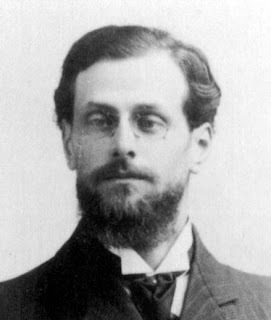 A young French lawyer, Déodat Roché (1877-1978), shown here in 1911, had left the Gnostic Church after disagreeing with its then chief theologian, Dr Louis-Sophrane Fugairon. In "Gnose antique et Pensée moderne," Roché reproached Fugairon for his dogmatism, and argued against a concept of tradition that placed traditionalism in opposition to modern science and thought. Modern science and thought, argued Roché, could and should be used to evaluate tradition. Before this disagreement, Roché and Fugairon had together edited a journal that was at first called Le Réveil des Albigeois and then called La Gnose moderne. Guénon's own first journal, La Gnose, was a revival of Roché's and Fugairon's. Guénon's first recognizably Traditionalist article, "La religion et les religions," published in La Gnose, not only reflected the views of de Pouvourville, but also--to some extent--a pre-existing discussion within the Gnostic Church. The original title of La Gnose moderne, Le Réveil des Albigeois, reflected Roché's conviction that the true ancient esoteric religion was the so-called Albigensian heresy, better known as Catharism. This was a thesis that Roché promoted for the rest of his life, and to which Guénon objected in Études Traditionnelles in 1949, referring to Roché's 1947 book Les Cathares. Roché responded to Guénon in his own journal, Cahiers d'Études Cathares. Roché's career is an interesting parallel to Guénon's. His early trajectory was much the same, from provincial France through Martinism and the Gnostic Church to promoting his own understanding of perennial religion while remaining an active and influential Mason. Unlike Guénon, Roché led a small formal group of disciples, but like Guénon he was most influential through his writings, which were--especially in the 1960s and 1970s--a major source for the renewal of interest in Catharism that fed on the one hand into The Holy Blood and the Holy Grail (1982) and thence into The Da Vinci Code (2003) and on the other hand into the official "branding" of the French département of the Aude (where much of Cathar history had taken place) as "Cathar Country." 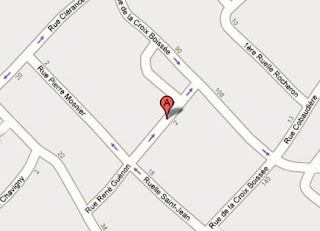 Roché's house (shown here) is now a museum, a street in his native village is named after him, and a recent biography (Audouy's, see below) carries a preface by the president of the General Council of the Aude. Although Roché was in a sense the first critic of Traditionalism for its ahistorical methodology, his own work has been subject to criticism by mainstream scholarship for precisely this reason, and is now little read. It is not even available in his own museum. For Roché, see Jean-Philippe Audouy, Déodat Roché « Le Tisserand des Catharismes » (Carcassonne: Impressions du Pays Cathares, 1997) and José Dupré, Un Cathare au xxè siècle: Déodat Roché (1877-1978), sa vie, son œuvre, sa pensée (Chancelade: La Clavellerie, 2001). Available online: Jean-Pierre Bonnerot, "Déodat Roché et l'Église Gnostique," Cahiers d'Études Cathares 2nd series 4-5 (1982). My history of Traditionalism, Against the Modern World, is now available in paperback, at $22.45 from Amazon.com (US) or £13.99 from Amazonm.co.uk (Europe). The paperback edition is basically the same as the hardback (though a few minor errors have been fixed), but is rather cheaper than the hardback (now $40-$50 or £39).